In some U.S. states, if you’re hiking around outside, you might stumble across a fence painted purple. It’s not for decoration, there’s an actual meaning behind it. 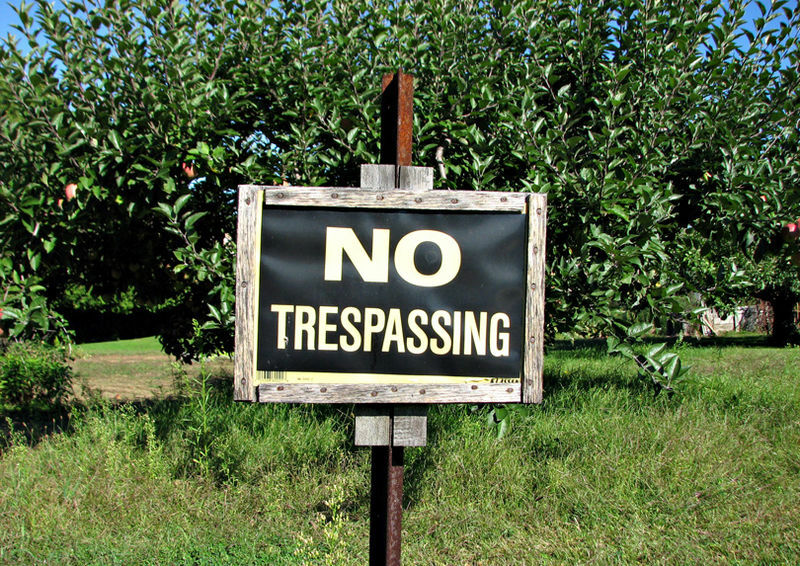 It means “No Trespassing” on remote and private properties in several states. This week, an article by IJ Review went viral, bringing it to light again as a reminder. The concept of purple fences started in Arkansas in 1989 as a way for property owners to warn the public of private land. The state of Texas adopted a similar law in 1997. Pellerin said she believes the color purple was used because people who are colorblind can still see it. Some property owners apply the purple paint to trees if there isn’t a fence around. It works “just as a green light means go and a red light means stop,” according to the University of Missouri. The law also went into effect later in Illinois, which lawmakers hoped would deter deer hunters from hunting. Other states where it might apply are Missouri, Maine, Arkansas, Florida, Idaho, Kansas, Montana, Arizona, and North Carolina, according to GeoCachingAustin.com. The law stipulates that vertical purple markings have to be clearly visible and need to be 8 inches long by 1 inch wide. “Of course, not all land owners apply the paint the same. I run across the purple paint all over Texas, both on pine trees in the east and on fence posts in Central and west,” wrote the owner of the GeoCachingAustin website. So, the next time you’re out hiking around, biking, camping, hunting, fishing, or hunting edible mushrooms, make sure to be on the lookout for purple.